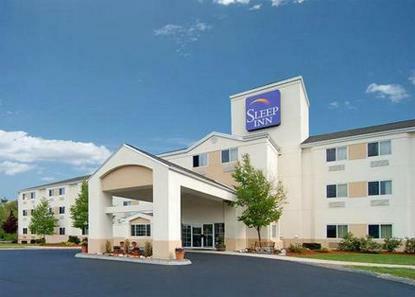 The Sleep Inn hotel offers free shuttle service to the nearby Manchester-Boston Regional Airport. Be sure to visit many local attractions in the area. Downtown Manchester is only 15 minutes from this Londonderry hotel and home to the Verizon Wireless Arena, which hosts sporting events as well as concerts and other entertainment. When staying at this Londonderry hotel, guests can sit back and relax in the indoor pool and hot tub. There is also a fitness center located on site. After a great night's rest, enjoy the free continental breakfast with a cup of coffee. Take advantage of free high-speed Internet access in all rooms, or make use of the computer in the lobby. The meeting room is perfect for business travelers.